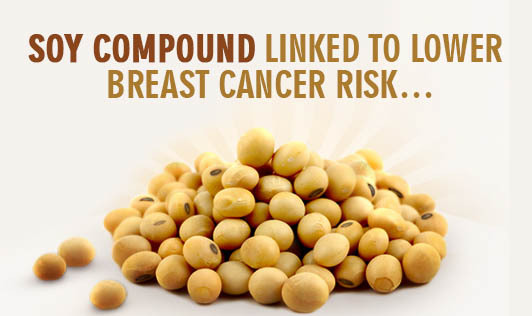 NEW YORK (Reuters Health) - Women with high blood levels of an estrogen-like compound found in soy seem to have a lower risk of developing breast cancer, a new study suggests. Researchers found that among more than 24,000 middle-aged and older Japanese women, those with the highest levels of the compound, called genistein, were only one-third as likely as other women to develop breast cancer over 10 years. Genistein is one of the major isoflavones, plant compounds found in soybeans, chick peas and other legumes that are structurally similar to the hormone estrogen, and are believed to bind to estrogen receptors on body cells.